Districts of Kerala are admin based divisions. Knowing a bit about them makes things easier while you travel. Each district has a head quarter, which is usually one of the large towns, where the office of the District Collector is located. The District Collector is in charge of District governance. and reports to the Government of Kerala. First time visitors on 5 – 7 days visit are better off sticking to a few districts. Or else much of the time will be wasted in long journeys to different tourist spots. Eranakulam, the centrally located district is the main gateway to Kerala. Cochin, its major town, has the largest airport in Kerala. Hence Cochin is the popular arrival spot for overseas travellers. Named the Queen of Arabian Sea, Cochin is an important travel destination in its own right. There are several historic places, monuments, beaches and shrines in and around Cochin town. So an average travel plan goes like this – arrive at Cochin. Spend a day or two chilling out and sightseeing around before proceeding to distant backwaters and hill stations. It only takes a couple of hours to reach the backwater district of Alappuzha. Between large lakes and narrow canals, there is plenty of choice to drift around and lighten up. 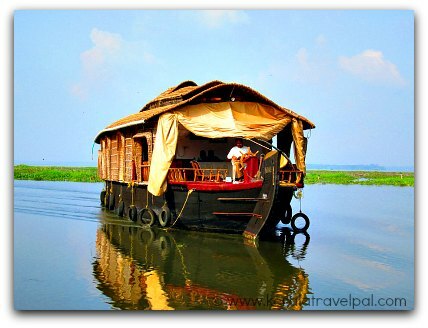 It is fun to travel through waterways of Kuttanad where the land is at lower level than water and protected by dykes. These large dykes even hold houses on them! Travel a few hours to the eastern district of Idukki, and a vastly different experience awaits you there. Glowing reviews about Munnar and other hill stations may point out about an experience that is cherished by many who walked the path before. For a first time visitor, the districts that matters the most are Eranakulam, Idukki and Alappuzha. 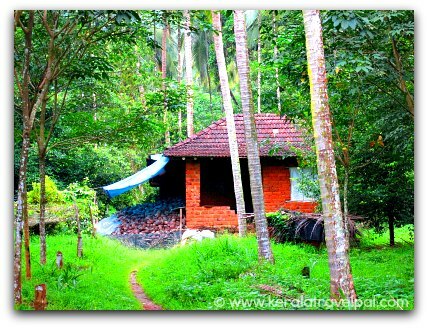 You also may want to know about Kottayam since you may touch there en route to other destinations. It does not mean that other districts of Kerala are less significant. The truth is that sunny beaches, stunning hill stations, magnificent waterfalls and breathtaking backwaters are scattered all throughout Kerala. But the question is that as a first timer here will you be able to reach that far and wide, in a matter of few days? 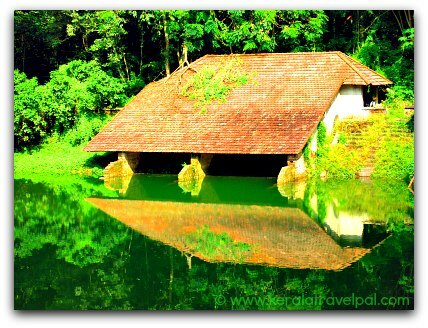 You will get a good taste of Kerala by visiting the above four districts. However, if you want to get the best of Kerala, you will have to delve much deeper, covering several other districts committing a greater amount of time. Although most popular arrival spot is Cochin, there are good alternatives too. For those who prefer North Kerala holidays, the usual arrival spot is Calicut (Kozhikode). There is an international airport as well as interstate connections through rail and bus. You can get the best out of North Kerala visit by taking Wayanad for the hill stations, Kannur for the beaches and Kasaragod for the backwaters. Of course I am guilty of over-simplifying because there is much more on offer in any of these districts. The arrival point for South Kerala based travel is Trivandrum. The city, the largest in Kerala, has ample transportation facilities, whether it is air, road or rail. You may have heard of Kovalam and Varkala, the great beaches of the South. Padmanabhaswamy temple, Ponmudi, backwaters, ayurvedic beaches, monuments, shrines......there is plenty more to explore. Kanyakumari, the southern tip of India, is a must visit spot even though you have to cross Kerala border to do so.